02. 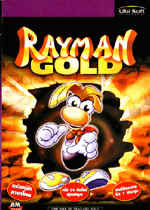 The game "Rayman Gold"
:: Maps/Spiele für "Raymans World/Gold"
04. Grafik-Screensh. 04. Graphic-Screensh. 04. Graphique-Screen. 04. Imagini-Screensh.